A study about the innovative output in healthcare was accepted by the A-Journal Research Policy (RP). The important publication is a multi-disciplinary journal devoted to analyzing, understanding and effectively responding to challenges posed by innovation, technology, R&D and science. Typically an “A” rated publication is exponentially more difficult to achieve than a “B”, as it takes many rounds of external feedback, revisions etc. and it can easily take over two years to complete one publication after the paper is actually written. We congratulate the authors Prof. Dr. Andreas Pinkwart, Dr. Dorian Proksch, Dr. Marcus Haberstroh and Julia Busch-Casler M.Sc. who is currently in Canada and thus could regrettably not join us when the HHL team celebrated their upcoming publication in RP and – on top – Dorian Proksch’s habilitation lecture. What did the scientists of the Stiftungsfond Deutsche Bank Chair of Innovation Management and Entrepreneurship at HHL find out? The importance of innovation in healthcare has increased within the last decades as new challenges like risings costs and an aging demographic have to be solved. The degree of innovativeness in healthcare is strongly influenced by the National Health Innovation System, which as a sectoral innovation system encompasses a wide variety of actors and related knowledge. Despite the highly practical relevance of the topic, there are only a few studies that analyze innovation in healthcare on a national level. Thus, this study is a starting point and answers the following questions building on the theoretical framework of national innovation systems: Can countries be grouped by their innovation output in healthcare and do those groups differ in factors describing the healthcare system? Do countries with strong national innovation systems also have strong national health innovation system and vice versa? The scientists compared the healthcare innovation output of 30 OECD countries using a multi-indicator approach and categorized them into four distinct groups using cluster analysis. A cluster consisting of the Scandinavian countries, the Netherlands and Switzerland showed the highest innovation output measured in knowledge production and knowledge commercialization. Surprisingly, these countries except Switzerland are only ranked in the medium group considering the entire national innovation system. Policy makers and researchers might be particularly interested in studying the healthcare systems of these countries. Innovative output in healthcare was measured with a multi indicator approach. The same indicators were used to cluster 30 OECD countries into four groups. The cluster containing the Scandinavian countries and Switzerland is most innovative. Healthcare spending and workforce employed in health is highest within this cluster. Our study is one of few empirical studies within national health innovation systems. 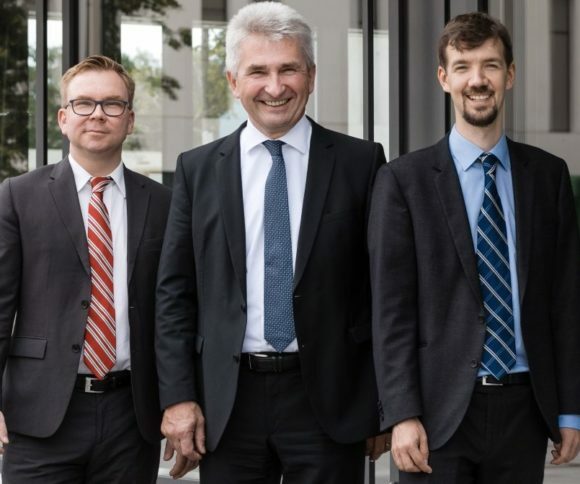 The scientists of the Stiftungsfond Deutsche Bank Chair of Innovation Management and Entrepreneurship expect the study is to be published in the end of the year.